Send Easter greetings sure to bring smiles. 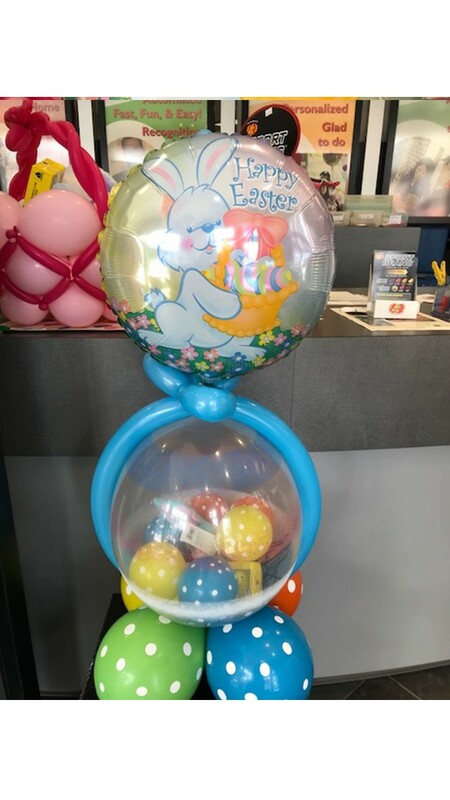 Polka dot balloons make beautiful Easter eggs and inside of the big balloon is a plush bunny and peeps. A fun way to say "Happy Easter!" Click the button below to add the Easter Stuffed Balloon to your wish list.